Russia and Turkey told a weekly meeting of the UN Syria humanitarian taskforce in Geneva on Thursday that they were still working out the details of their plan to avert a major battle in Syria's Idlib province but were optimistic. 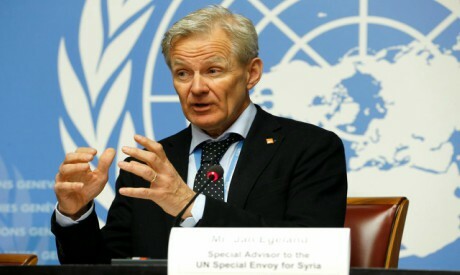 "We invited Russia and Turkey to explain to us what's in the deal, the basic message was we're very optimistic that the two of us can work this out to avoid bloodshed, to avoid the big war," UN humanitarian adviser Jan Egeland told reporters. "A lot of areas would not see war, hopefully, but there could be more clashes between armed opposition groups," Egeland said.